Curated content and comedic viewpoints on Society, Politics, Entertainment & Las Vegas! Jamey and John answer Fan Questions and discuss listener show comments. Topics include Las Vegas architecture, photography, weird concierge requests and sports-book fears. The Burlesque Hall of Fame opens today in its new location at 1027 S. Main Street. Admission to the museum is $15 and $12 for locals. According to a survey by Forbes, Las Vegas is the sixth most affordable city in the U.S. The salary needed to live comfortably in Las Vegas came in at $56,609, with the “cost of necessities” listed at $28,304 per year and median income at $50,822. Tucson, Arizona, ranked at number five and El Paso, Texas, placed in the number-one spot on the list with the cost of necessities at $25,075, median income $43,322, and salary $50,150. Its that time of the year again, when the ghouls and goblins come out to play. Here in Vegas there are plenty of scary attractions to attend. The Viewfinders will be at The Mirage‘s Halloween bash, while you may want to don your sexiest referee costume and check out the Fetish and Fantasy Ball. 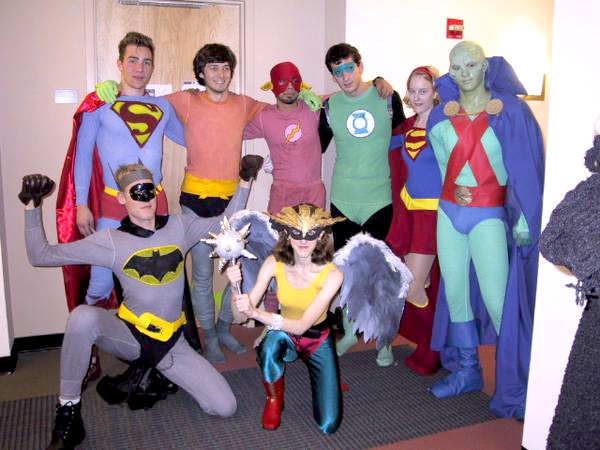 Or put on some tights and fly over to the Superheros and Villains Costume Party at Insert Coins. When else can you dress to truly match your style? Any day in Vegas but Halloween is when you can get away with leather, gags, body paint, and everything your twisted little mind can think of. Have fun and be safe! 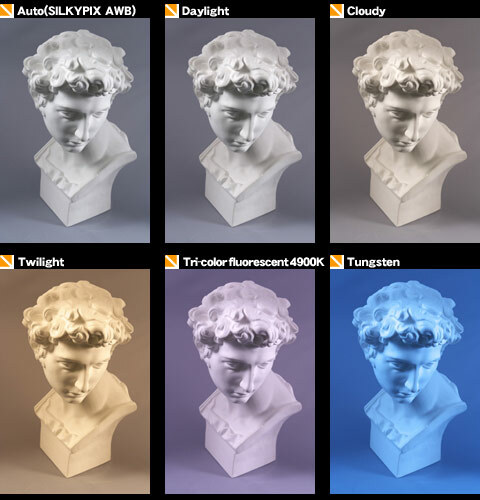 Some might remember when a photographer had to load there non-digital cameras with stuff called “film” and then after the shoot, that film would be taken into a “dark room” and processed into photographs. Now that technology has made that process obsolete, the current day photographer has different tasks they need to follow, one that includes data management and social networks. Creating an effective workflow from the beginning of the shoot to the delivery of the goods, is essential to putting out a great photograph or design. Born in Beijing, Chenman is a young Chinese photographer who is known for her own photographic style. Not only does she use vibrant colors, models with unique make-up and hair but her use of 3D technology, her photos are one of a kind. Take a look at the pictures below. Seen as a high fashion photographer in China, Chenman also has been featured in high fashion US magazines as well such as Vision, Vouge, Bazaar, Esquire, Cosmopolitan, and Modern Weekly. Becoming a huge name for fashion photography in China, Chenman is becoming the most promising inspiration of her generation. 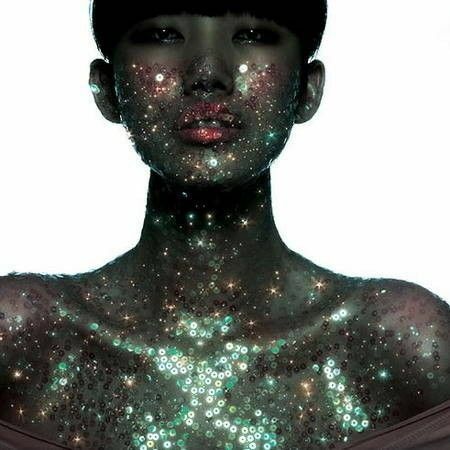 Her innovative style, and within 10 years of work, she has proclaimed herself as one of China’s most successful commercial photographers. A negative energy has seemingly darkened the door of the photographic industry. As a practicing member of the, I’ll term it, fraternity of professional photographers, I am witness to many industry changes may they be tech related or in the case of this article a social transmogrification. The negative energy of which I write has origins in free trade and capitalism but echos through the halls of our democratic society. Photographs, pictures and videos of all types are slowly being slipped from the hands of artists into the waiting grasp of societal sycophants wanting only to be paid for the effort of stealing a moment in time. True photographers, professionals who have greatly earned the title are being set aside for the sensational and the fantastical. Our work no longer hangs in the museums of contemporary culture but has been replaced by grotesque shades of what art should be. Our work has lost the distinction of inspiring the onlooker rather, it is now evidence of the follies of the celebrity du jour or to prove that one of our superlative youth can indeed light afire his flatulence. I find myself retreating into my studio of photography at times wondering if I will ever see the day that my colleagues and I are once again thought of as leaders of an indudstry instead of being members of hordes who mustered their quarters to make a trip to Verizon to purchase the newest camera/phone. Perhaps one day soon I can peek out my studio door and see a horizon that consists of artists of all kinds being warmly lit by the setting sun and all of the members of the new TMZ Society were no where to be found…ah to dream. Yes you read that right, $4,338,500! On November 8th 2011, this photograph sold at a Christie’s Auction. The photograph is called snore….we mean “Rhein II”. We fell out of our seats here at the studio, when we saw the price and were asleep by the time we hit the floor when we saw the photo. We love art, obviously by our chosen profession, but come on! 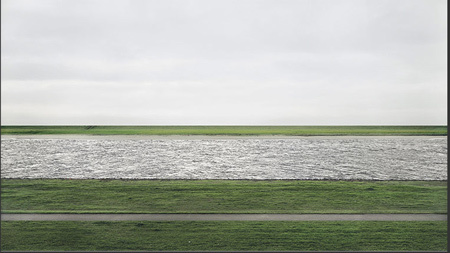 Andreas Gursky (the photographer) says “For me it is an allegorical picture about the meaning of life and how things are.” OK, we could agree with that, if the photo had not been “retouched” to make the banks of the Rhine River appear to be empty stretches of grass. Is it art? We like to think of it more as an empty background with potential. Are we jealous we didn’t think of it first? Your damn right we are! I smell bacon…and it stinks! That’s right, the Long Beach pig…uh…er…police department has taken it upon themselves to disregard the constitution as a matter of standard department procedure. 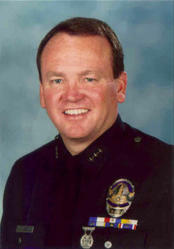 The LBPD, detained a local news contributor for taking pictures “with no apparent esthetic value” as stated by police chief Jim McDonnell. All hail the oppressors of civil liberties! That is sarcasm by the way. 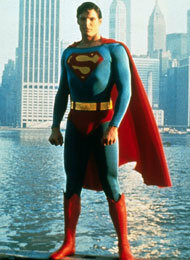 Like most in our generation, we grew up on superheros. One was greater than all the rest. Superman! What kid didn’t fly around with a cape pretending to save people. Hell, I have a cape now that fits me! 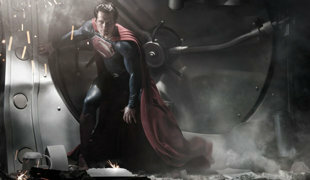 So, when the first picture of the new superman was released this morning we could not wait to see it and make comparisons. The new movie is just under two years from release and we are already excited! What does this have to do with photography or our photography studio? Well, these are both professional photographs. So, which superman do you like better? Or are you withholding judgement for now?